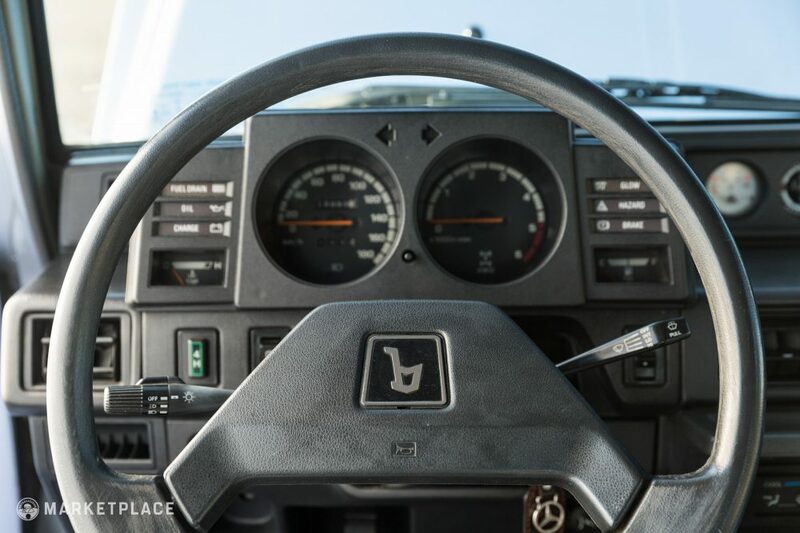 In 1985, Daihatsu began production on its Taft model 4×4 successor. 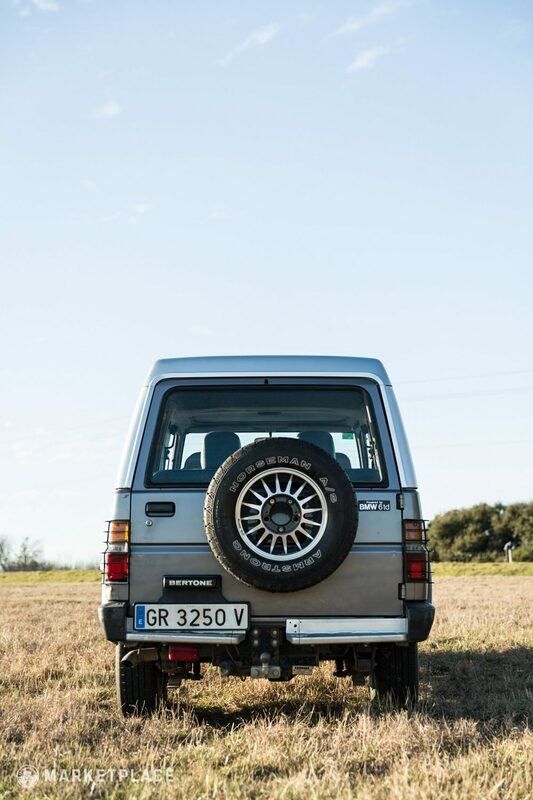 The new compact two-door crawler was originally titled the Daihatsu Rugger but it wore the Fourtrak nameplate in the United Kingdom and was called the Rocky in most other export markets—while in Japan it was sold as the Toyota Blizzard. 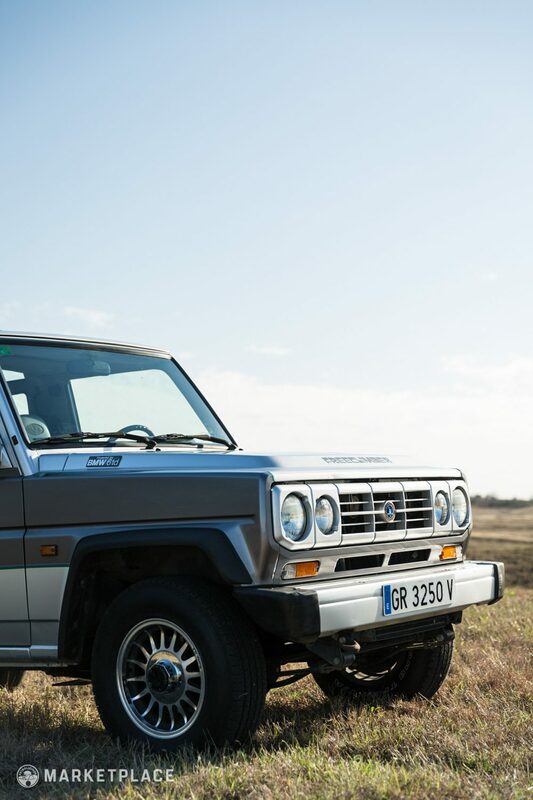 Produced from 1984 to 1993, several variations were offered, including a soft-top, removable hardtop, and even a long-wheelbase fixed-roof variant that was capable of carrying eight passengers. 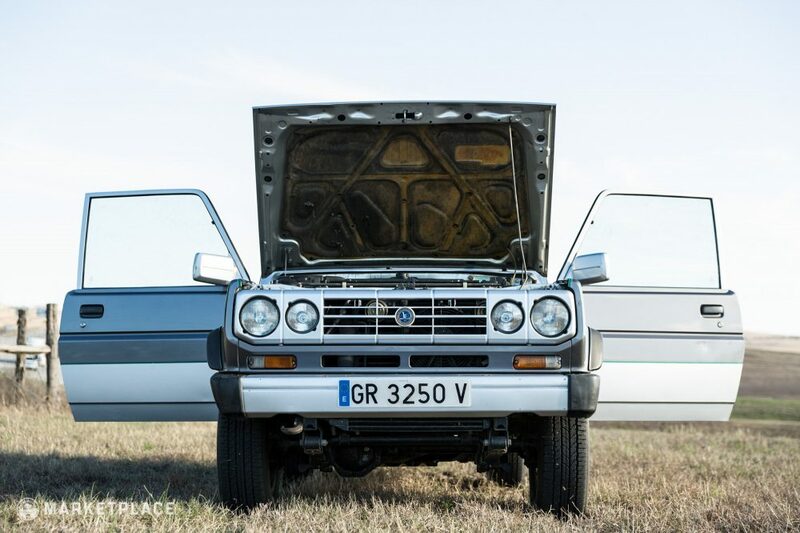 Most versions were powered by petrol 2.0-liter Toyota engines with part-time four-wheel-drive as standard. 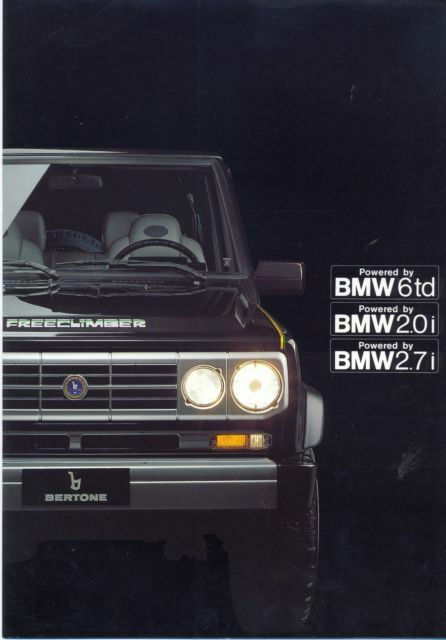 With just 2,800 produced, the rarest model was the redesigned Italian-bodied, German-powered conglomeration labeled the Bertone Freeclimber. 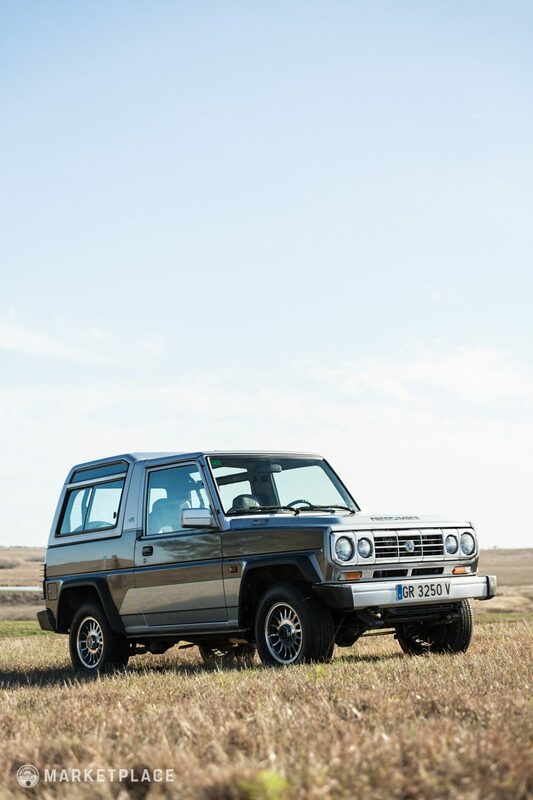 The last time Japan, Germany, and Italy came together for a group project we got World War II, so we’re happy to report this micro marauder only served up good, old-fashioned, innocent off-road fun. 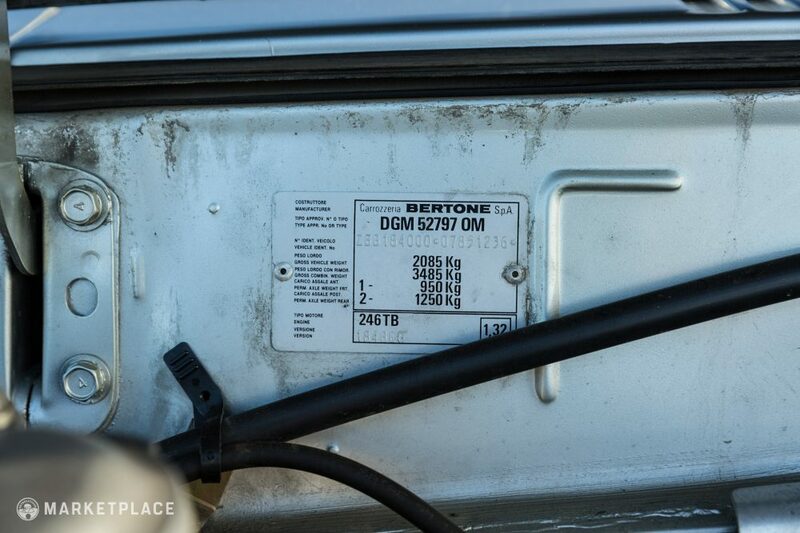 By the late ‘80s, Bertone was in financial trouble and needed an inexpensive project to get to market. 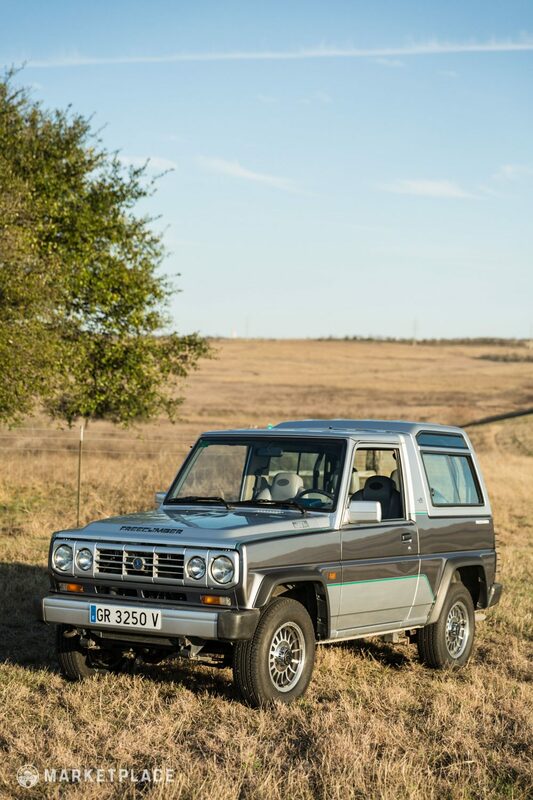 Their oddball but adorable response was to re-body a Japanese 4×4, stitch the cabin in leather, and shoehorn in a BMW powertrain—who said the X5 was Bimmer’s first SUV? 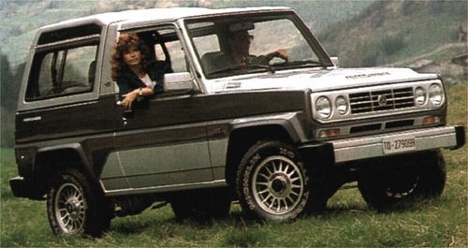 Bertone gave the Daihatsu custom coachwork, most notably differentiating it from the other models with a unique four-headlight front clip, two-tone paint schemes, boxier dimensions, and unique, polished, multi-spoke Ruote O.Z. wheels. 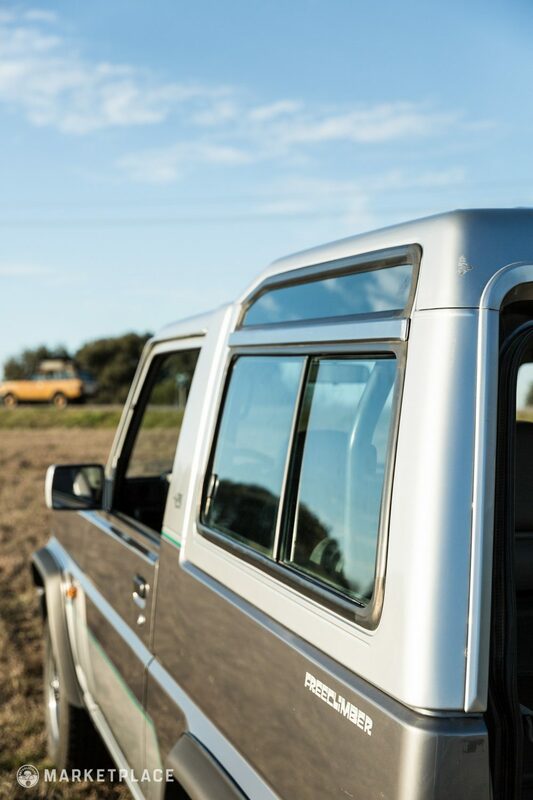 The overall shape is utilitarian but handsome enough; it’s functional with added luxury. 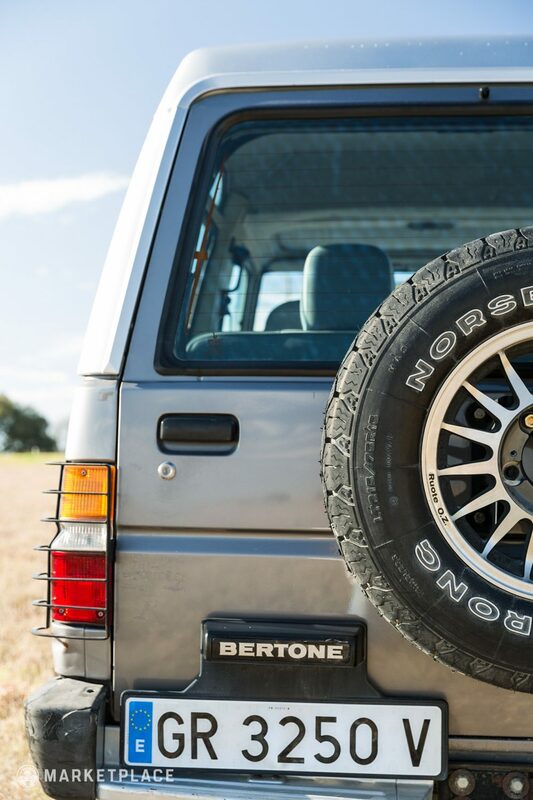 This 1990 Bertone Freeclimber is a two-owner driver-quality example that’s been lovingly preserved with 191,737 kilometers since new. 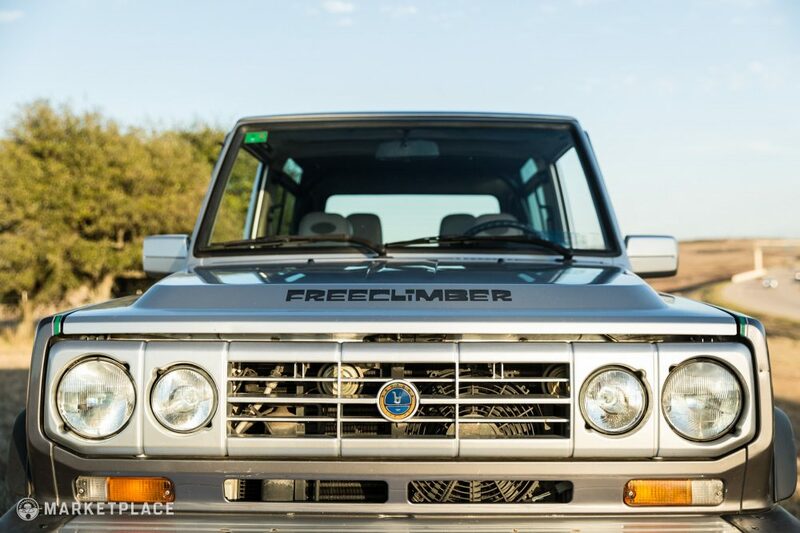 The current seller was very adamant on sourcing a Freeclimber in good, unmodified condition, which proved to be quite challenging given the nature of the vehicle’s intended use and scarcity. 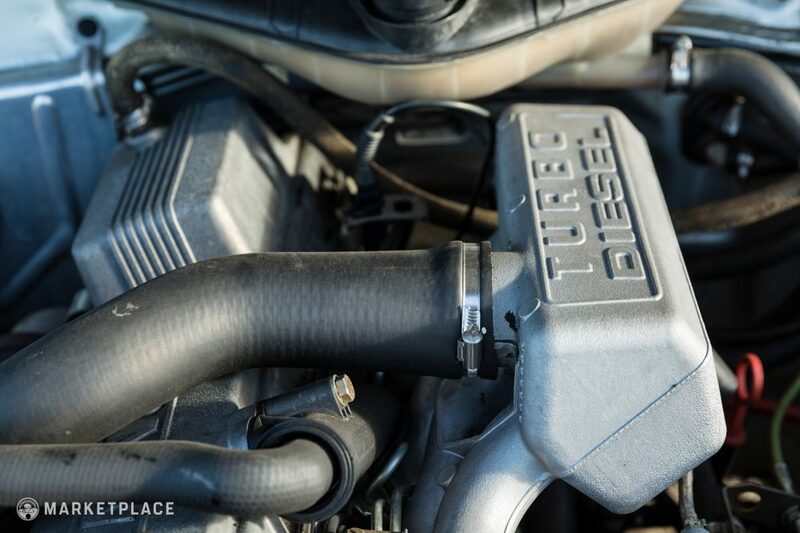 This model is powered by BMW’s 2.4-liter turbo diesel straight-six that is believed to be original to the chassis; the engine produces 114 horsepower and 162 pound feet of torque. It runs very strongly with eager acceleration while the four-wheel disc brakes provide solid, dependable braking. 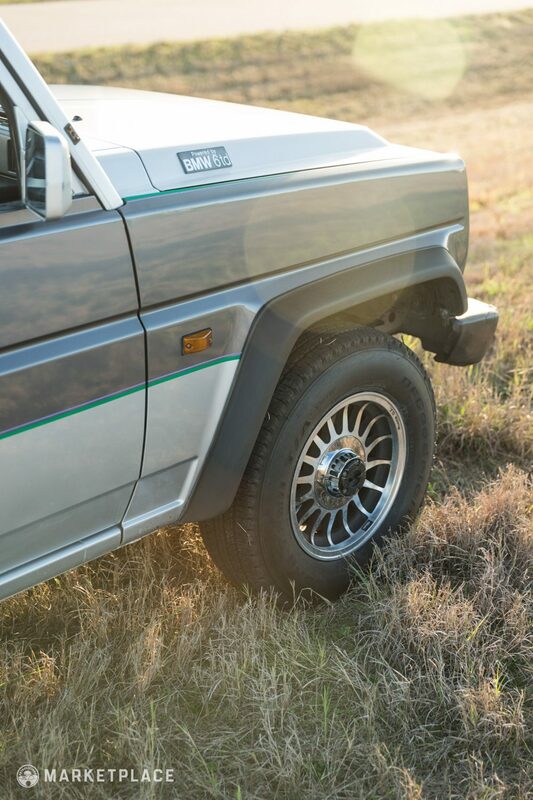 The owner notes the truck is surprisingly capable off-road thanks to its lightweight construction, 4WD drivetrain, and potent German powertrain. 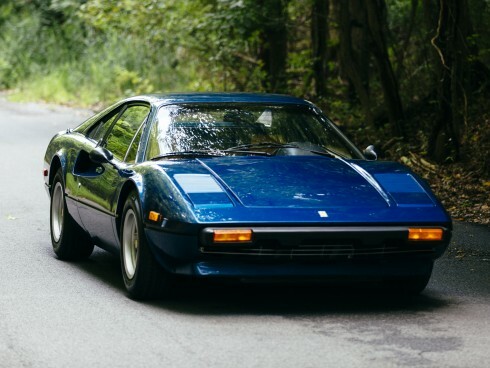 The bodywork remains entirely original and accident-free. 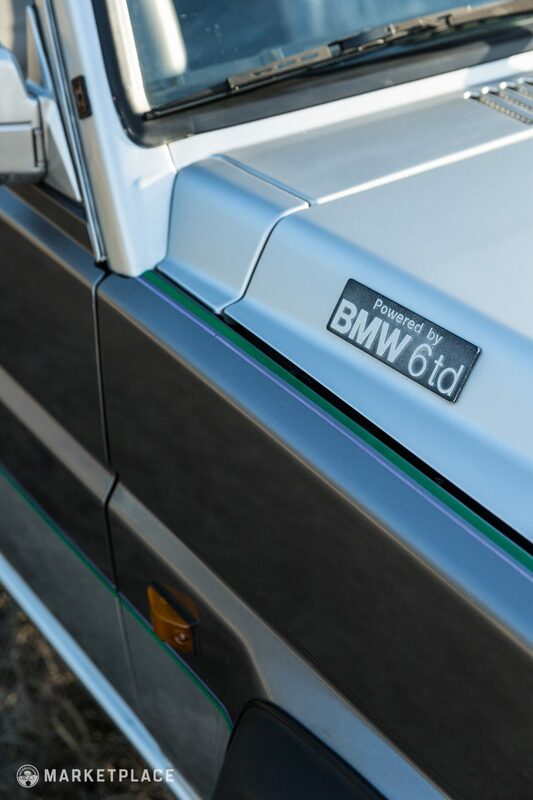 There is no rust on the chassis or body panels and the original two-tone metallic silver and charcoal paint is in good condition overall with only minor stone chips and blemishes. 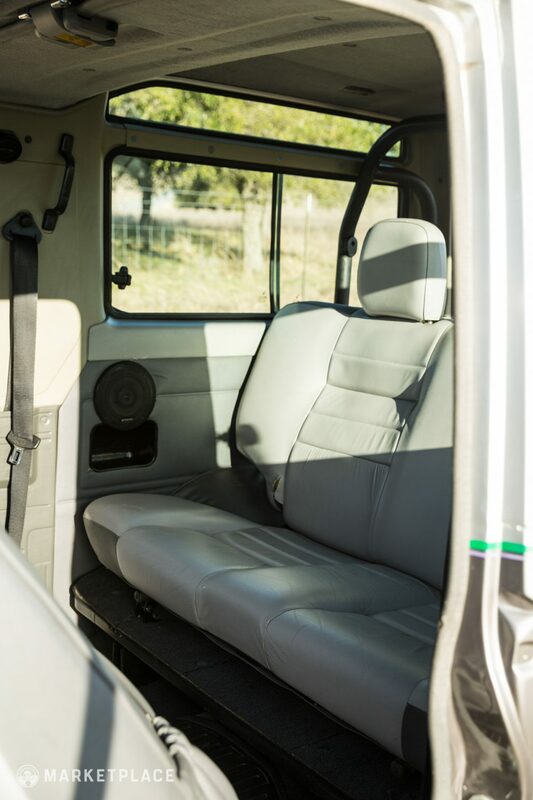 Inside, the two-tone light and medium gray leather interior is very clean, the seller claims it was a selling point when sourcing the vehicle as most FreeClimber’s cabins are worn out. 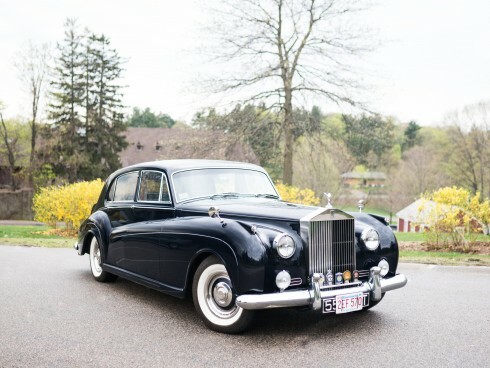 Although there are no detailed service records, the vehicle is said to have been maintained lovingly—everything works as it should and it’s likely one of the nicer examples left on the road. 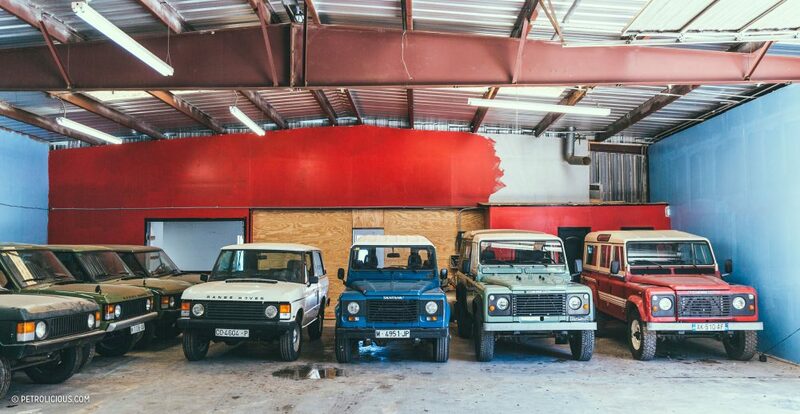 Body – The body is all original, rust-free, and never damaged in an accident. 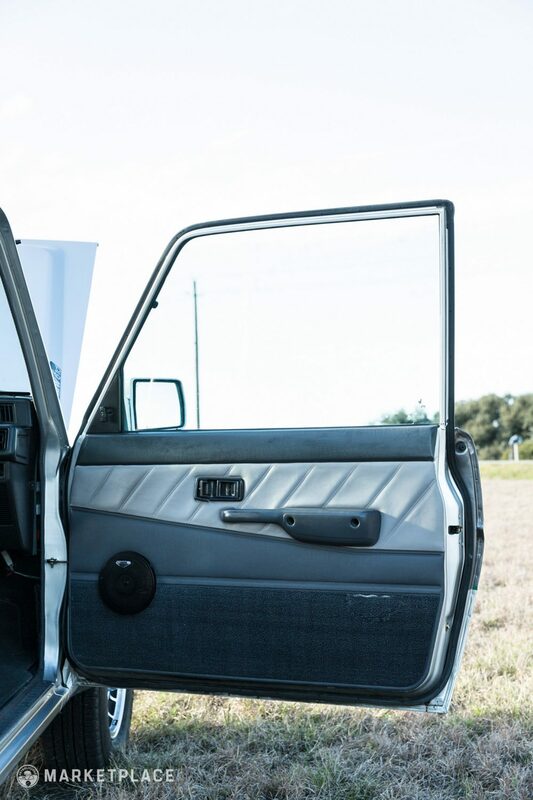 The panels are straight with great gaps throughout and all of the original trim, lighting equipment, bumpers, wheels, and badging are all in place and in equally good condition. 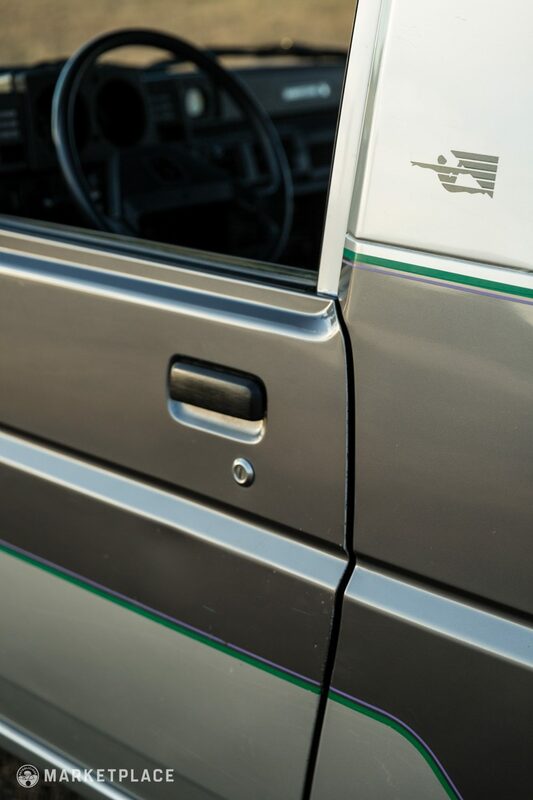 Paint – The green, pinstripe-accented, factory-applied, two-tone metallic silver and charcoal paint retains a deep shine, free of sun damage, etching, or peeling, and suits the rugged boxy design nicely. 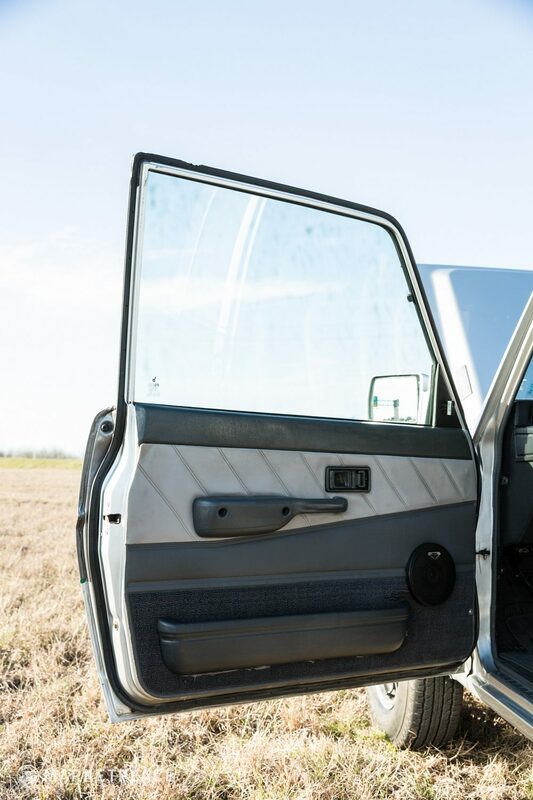 Trim and Glass – All glass is original and in excellent condition with only a single chip in the windshield. The rubber trim, seals, and gaskets are solid with no leaks. Wheels – The unique FreeClimber multi-spoke Ruote O.Z. 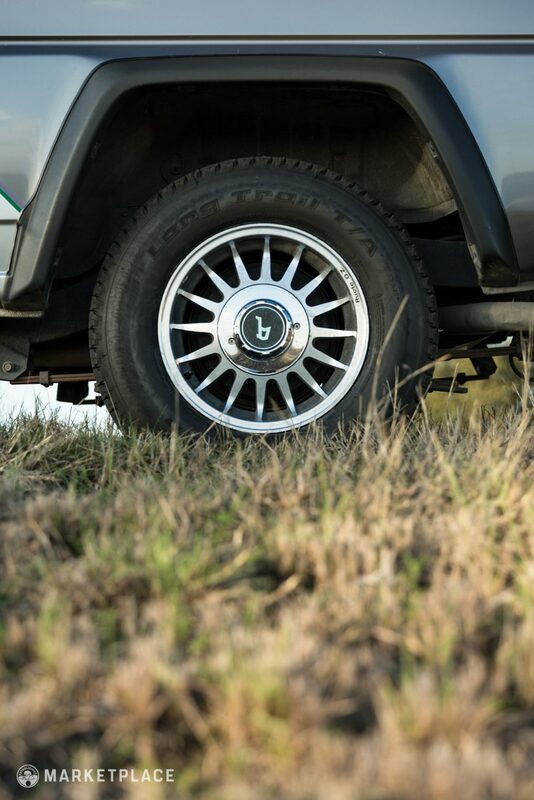 polished wheels are free of curb rash and come equipped with the “b” (Bertone symbol) center caps. BF Goodrich Long Trail T/A tires are mounted at all four corners with the spare wearing an Armstrong Norseman A/S tire. 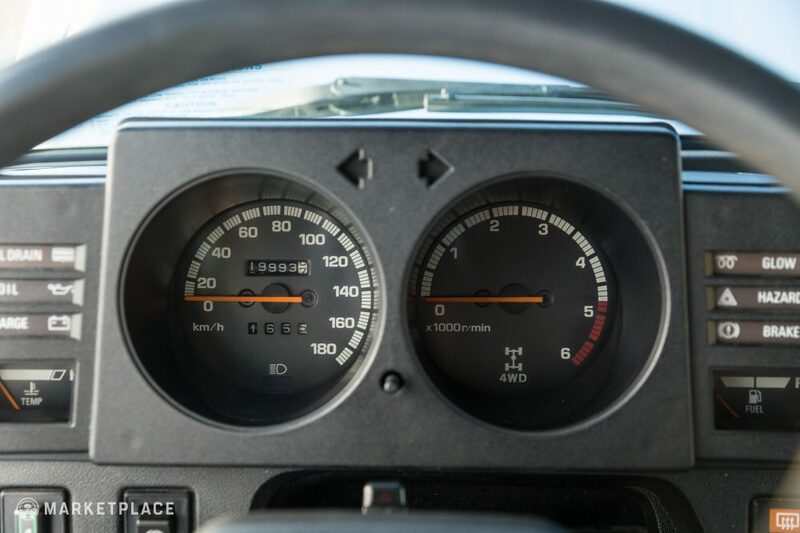 Steering Wheel – The original two-spoke Bertone steering wheel is present with only minor scuffs incurred from typical use. 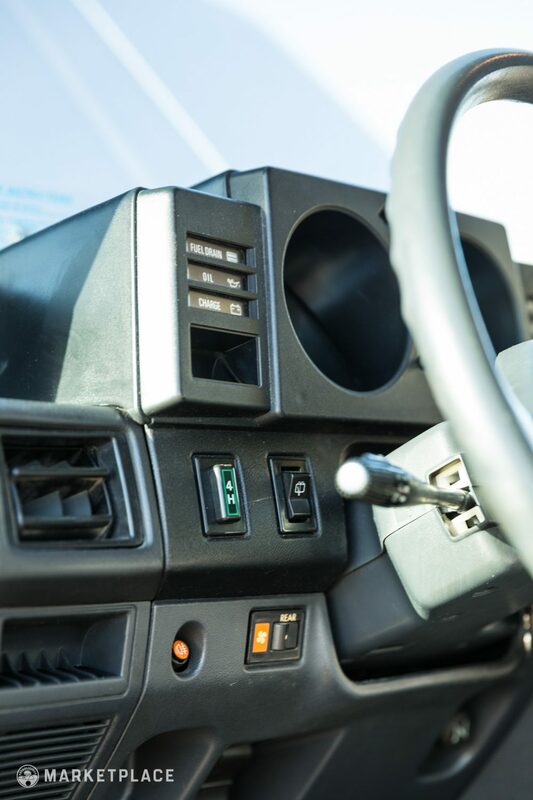 Dashboard & Instrumentation – The dashboard instruments, switchgear, and HVAC controls are fully functional and very clean. 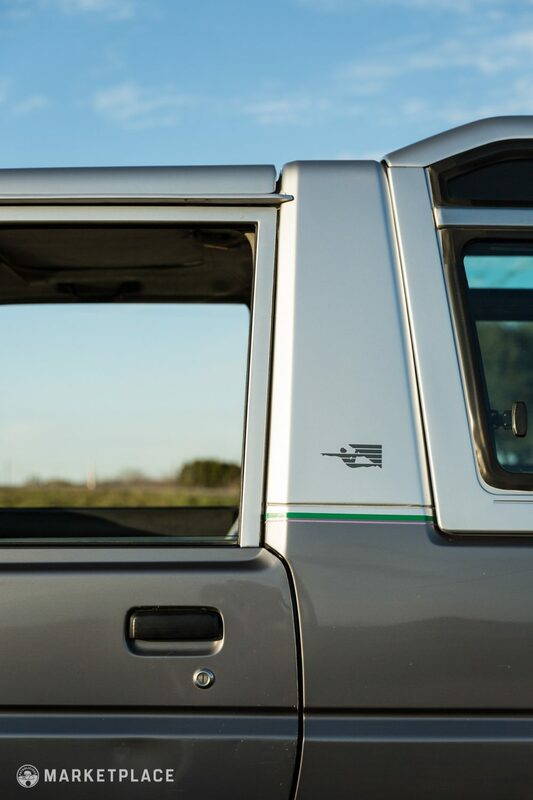 Power windows were standard on the FreeClimber and an upgraded auxiliary cable-equipped head unit has been installed. 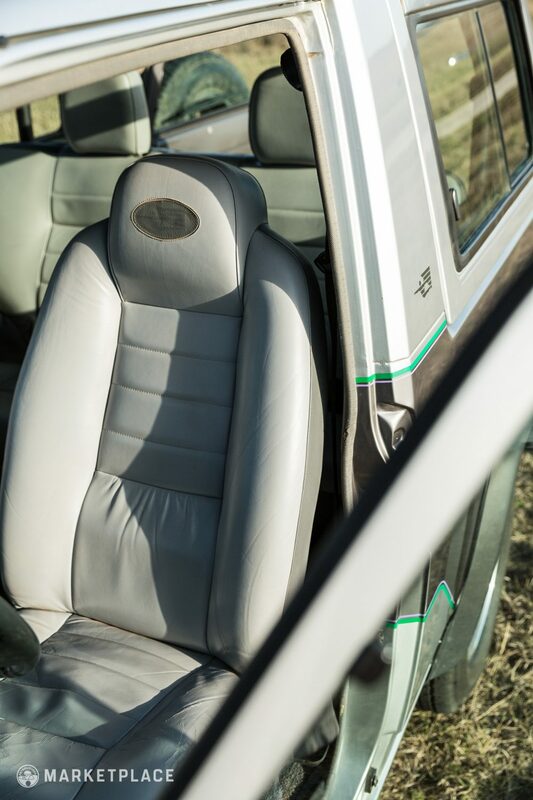 Seats, Trim, & Carpet – The door panels, seat covers, and carpeting are all in generally good condition. 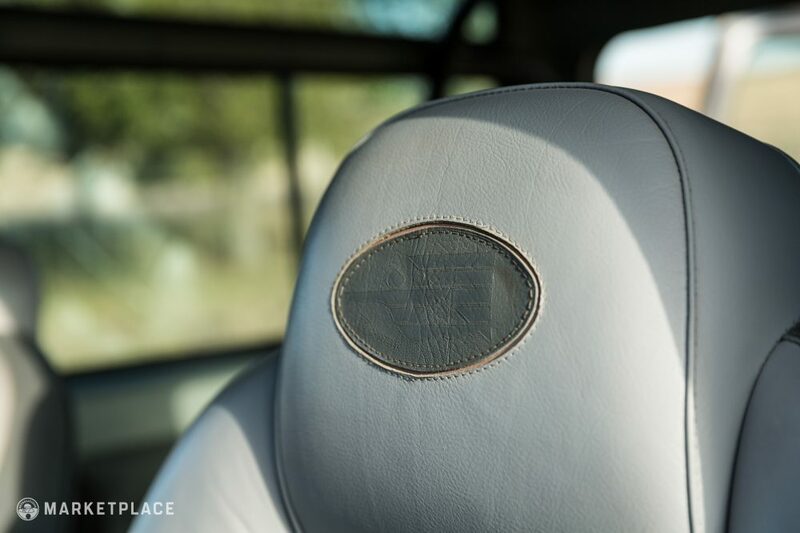 The light grey carpeting has some stains and the driver’s seat cover is showing its age but remains free of tears or split seams. 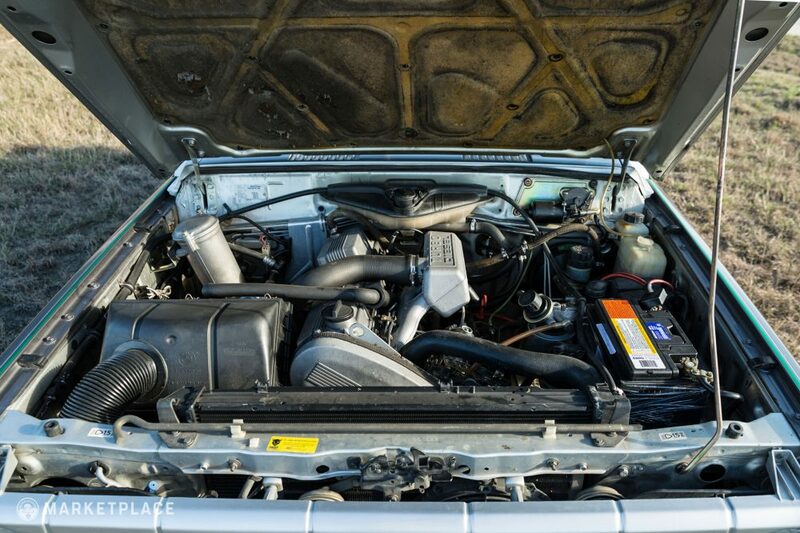 Engine – The BMW M21 2.4-liter turbo diesel straight-six is believed to be original to the truck and runs without issue. 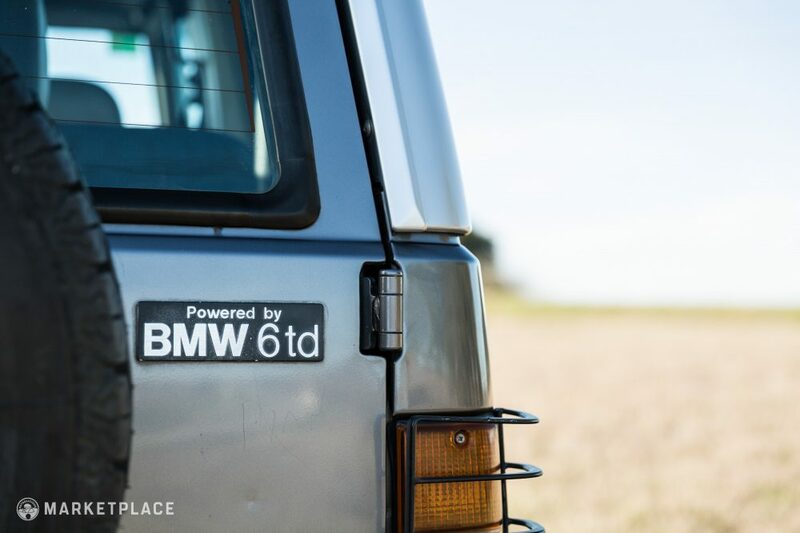 The Drive: The engine cold starts without issue, idles smoothly, and delivers the strong linear power BMW straight-sixes are known for. 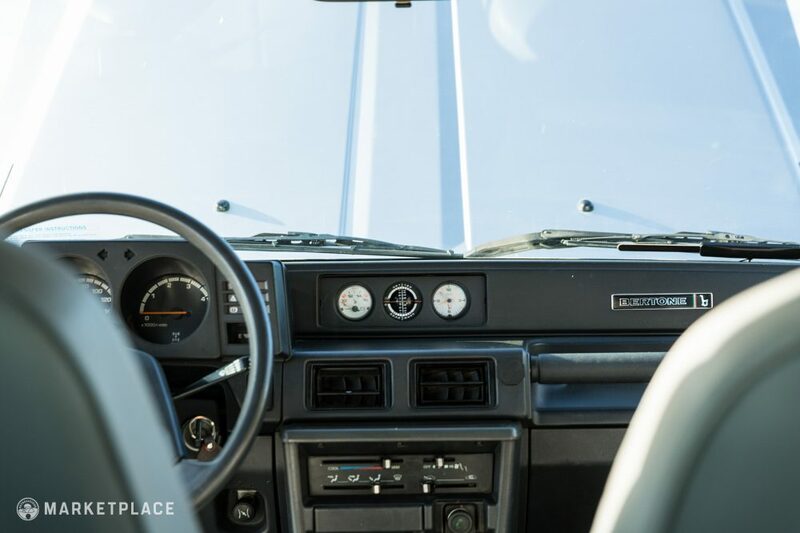 The truck is relatively light, so the 114 horsepower and 162 pound feet of torque make for a sprightly, modern drive. 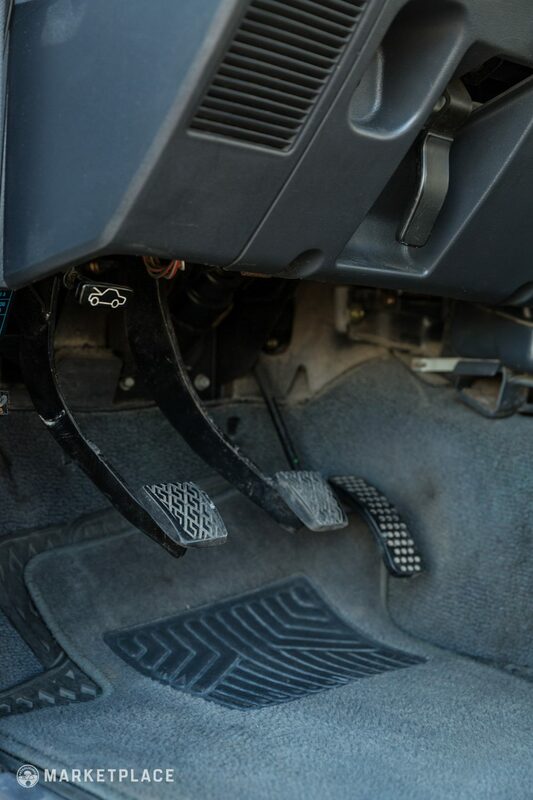 Transmission – The five-speed manual transmission is also believed to be original to the truck. Gearbox Number: Available on request. 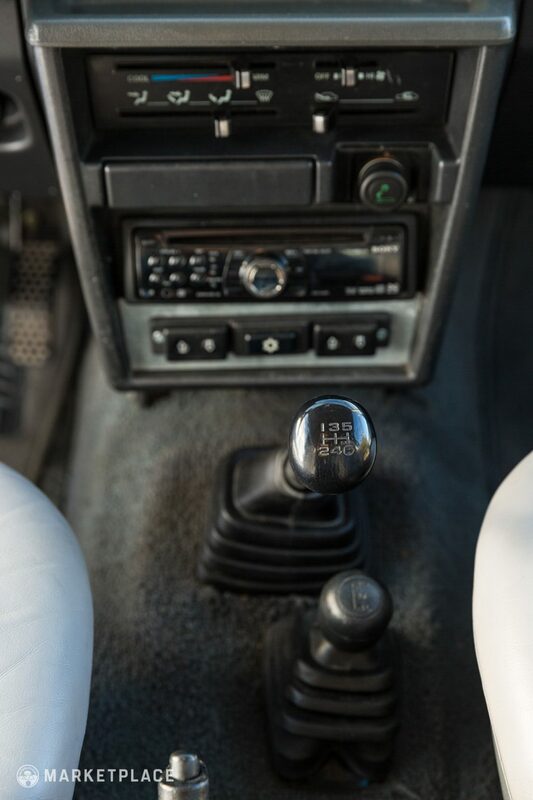 The Drive: The Daihatsu five-speed gearbox shifts smoothly with direct gear change action in tandem with a light, easy-to-operate clutch. 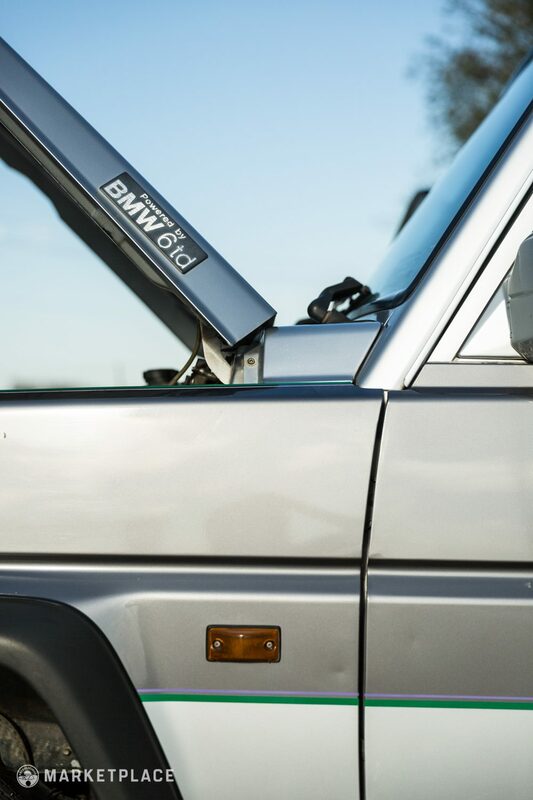 Handling – The original coil-spring and shock suspension remains in place and offers a forgiving ride. The factory limited-slip differential works as intended for increased grip both on-and-off-road. 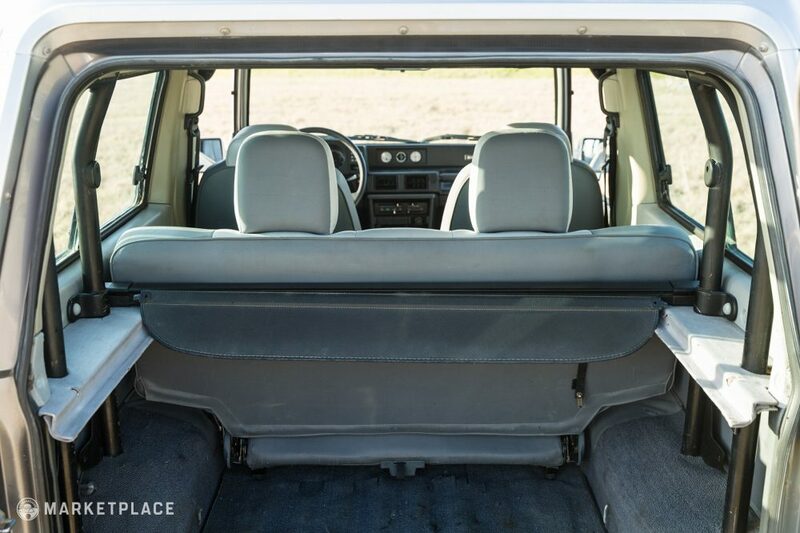 The Drive: The ride is supple with a relatively quiet cabin and soft damping. Aside from the aftermarket radio and modern tires, this vehicle remains totally original. The body panels, paint, graphics, wheels, emblems, and interior components and materials are factory-spec. 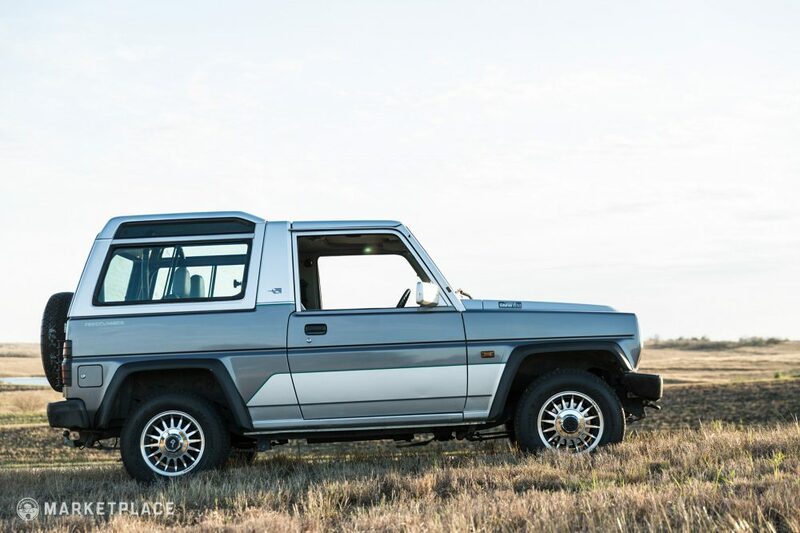 It’s unknown if the powertrain is original to the chassis but it is believed to be the factory-installed BMW engine/Daihatsu transmission assembly. 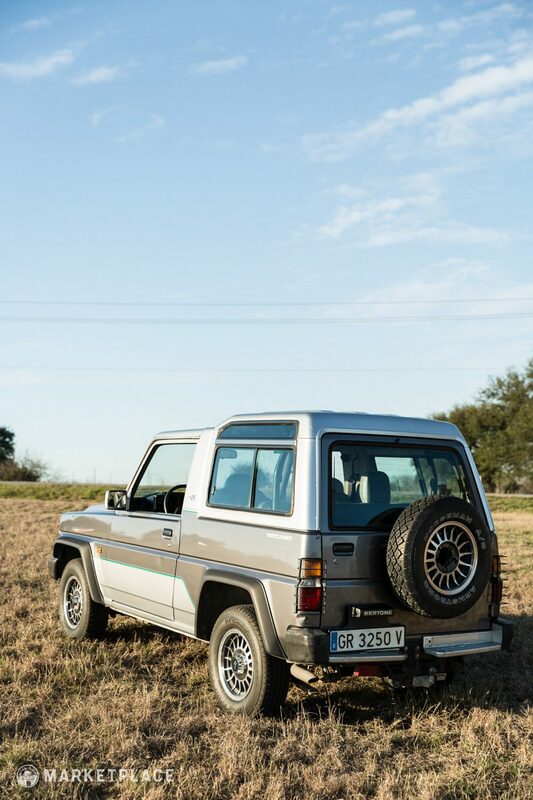 The first owner kept the vehicle until the acquisition by its second caretaker (current owner) in 2013. 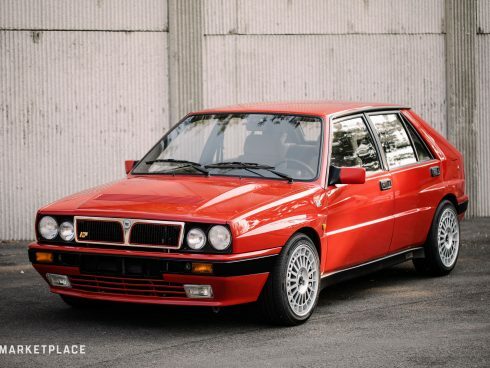 The seller notes the first owner routinely maintained the powertrain and took great care of the aesthetics both inside and out. 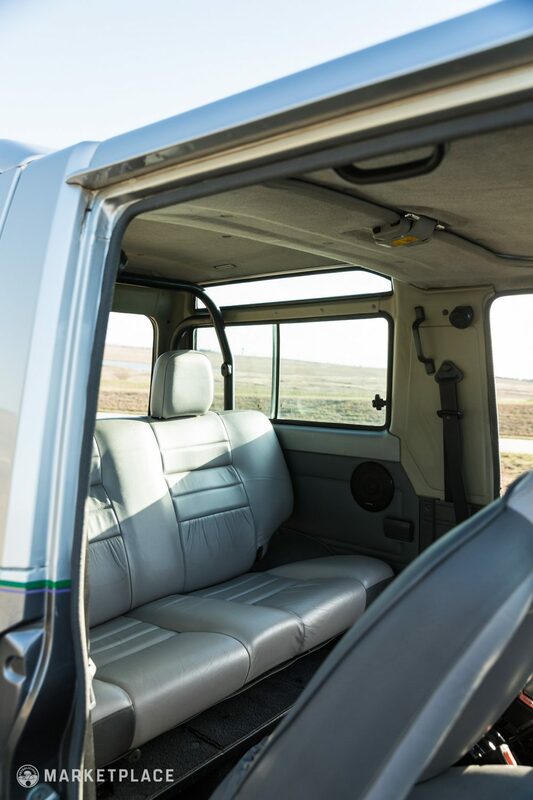 In spite of the lack of documentation, it is apparent the truck has been cared for given its general cleanliness and healthy performance delivery. 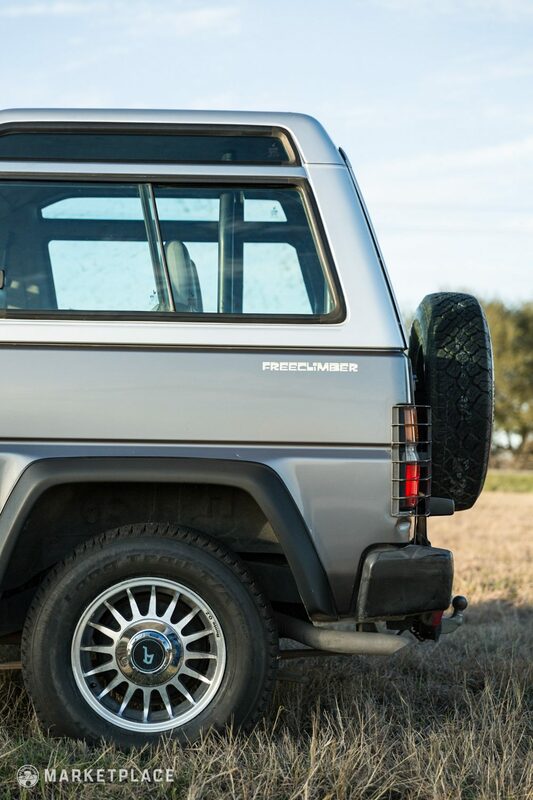 This Freeclimber is very likely to be the only one for sale in the US (particularly in this condition). 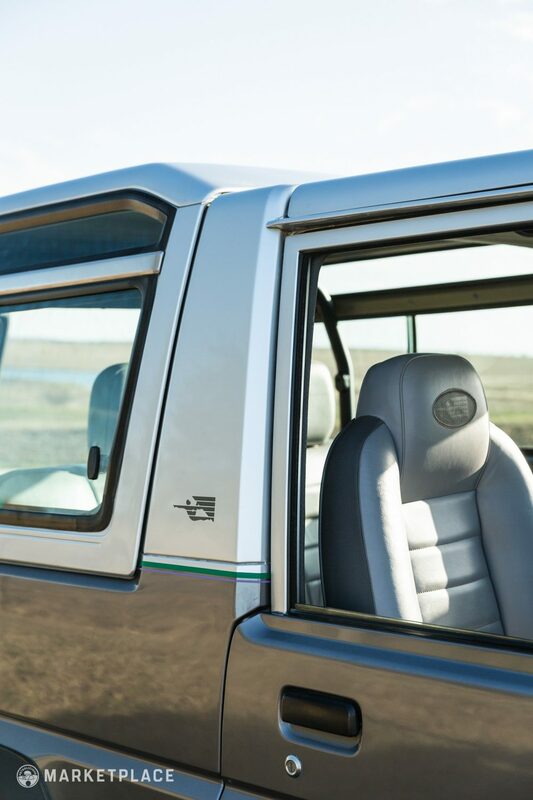 Weird & Wonderful – The Freeclimber was the most luxurious of the Rugger lineage, with Bertone styling, leather interior, power windows, and optional air-conditioning. 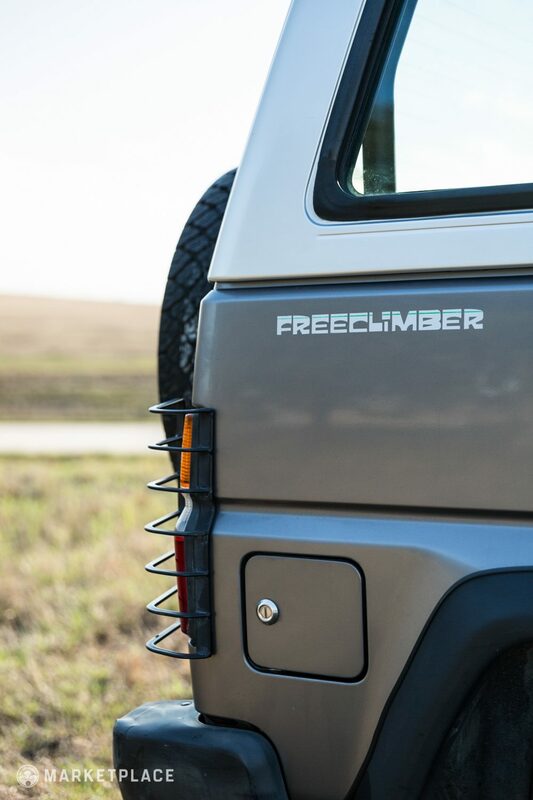 It’s a unique machine that garners attention wherever it goes. 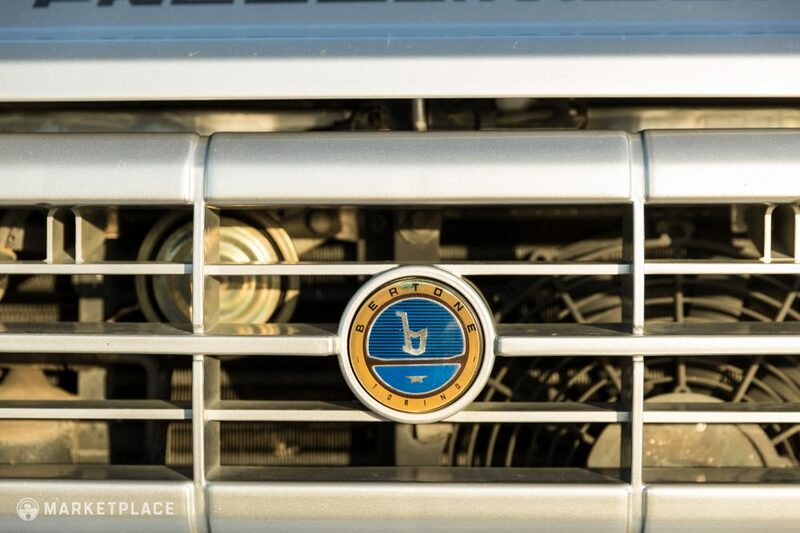 From those who know of its history to those who are clueless to its existence, it’s a fun truck that catches the eye of bystanders and fellow drivers alike. 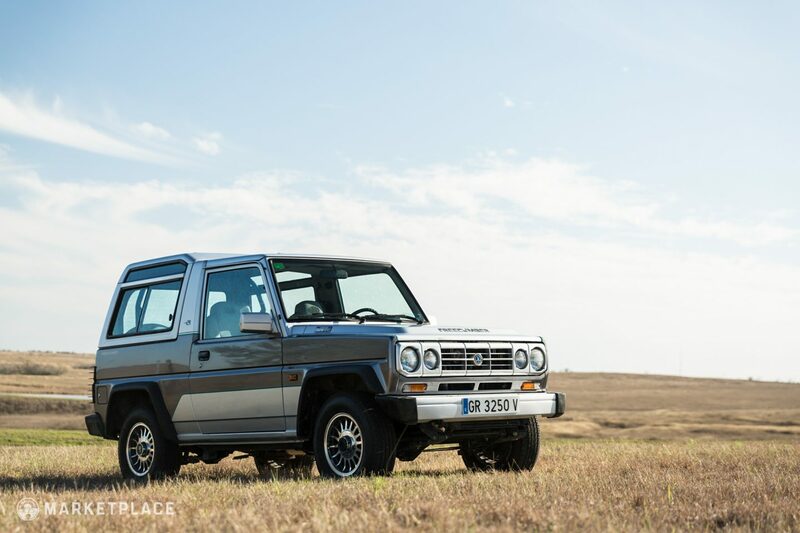 Compact & Capable – Long before modern compact SUVs were all the rage, the Japanese built dozens of these brilliantly packaged two-door upright 4×4 machines through the ‘80s and ‘90s. Don’t let its size fool you, these lightweight trail seekers are incredibly capable in doubling as daily drivers and weekend adventure enablers. 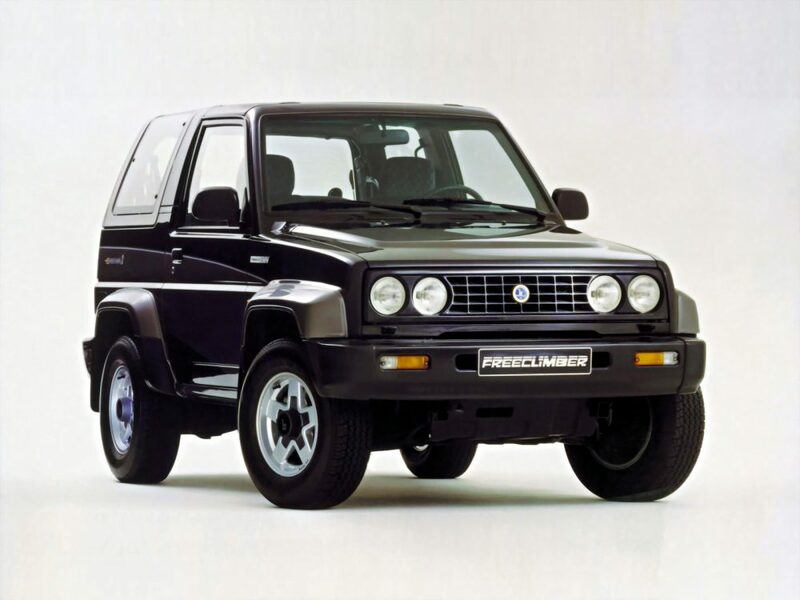 Rare & Robust – Only an estimated 2,800 Bertone Freeclimbers were made, making them the rarest of the Daihatsu Rugger variants. 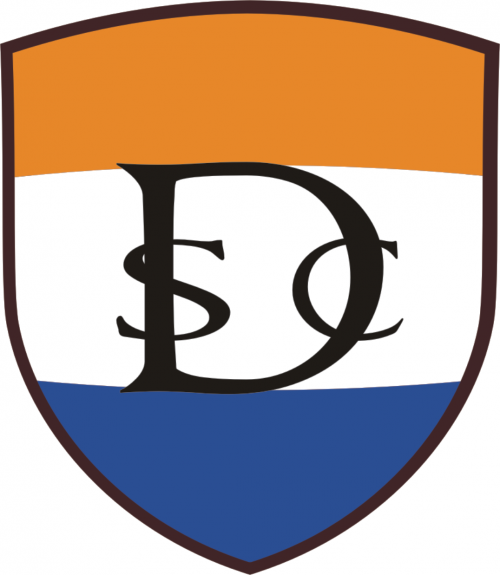 Too often when multiple manufacturers commingle on a single platform the results are atrocious amalgamations. 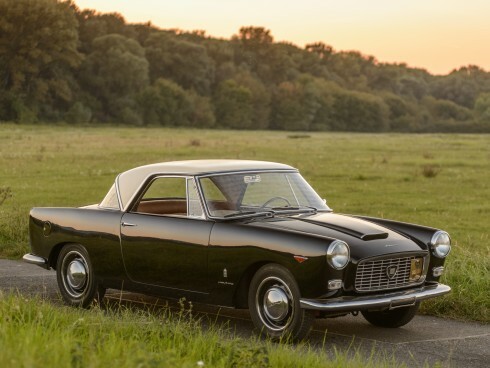 But, as quirky as the Bertone Freeclimber may be, it gained all of the best attributes from each contributor: Italian styling, German powertrain, and Japanese reliability. 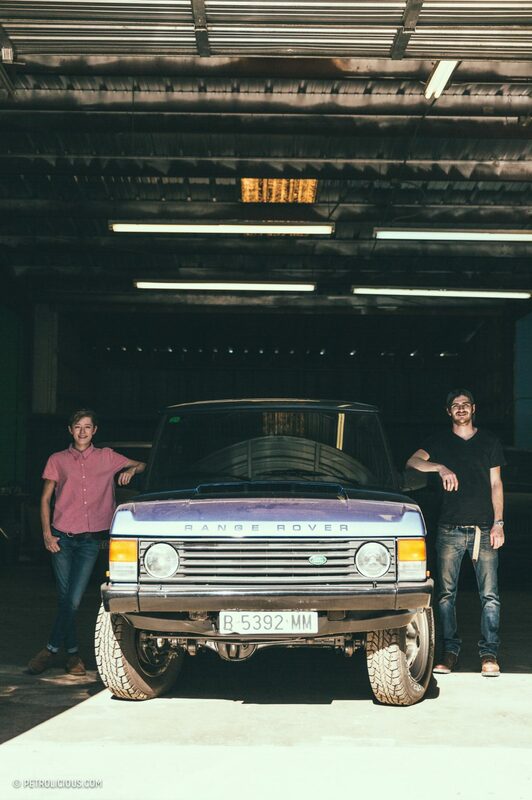 This car is for sale by Nicholas van der Akker and Erica Plumlee of Dutch Safari Co. You can get to know them better here.